14-year-old Logan LaPlante became a YouTube darling last year by having life all figured out. In his TEDx speech at the University of Nevada, Logan laid out a clastic blueprint for a more fulfilling existence than the one conventional education facilitates. Logan deserves much of the praise he has received for having the poise to speak about his road less traveled, especially as the ones familiar to us prove more unsatisfactory every day. However, the command with which he explained his system for being happy, including his education that he coined ‘Hackschooling,’ exposes the myopia from which this outlook comes. Logan is a white kid who loves to ski. And although skiing is not as expensive an activity as most people might assume, doing so with regularity marks a level of privilege that exposes Logan’s limitations in understanding how capable the majority of the country’s young people are in emulating his reality. To their credit, the “small but growing revolution of kids” that has adopted Hackschooling will demonstrate possibilities that were previously dismissed as crazy or unrealistic and hopefully become agents for change that are necessary in advancing humanity. 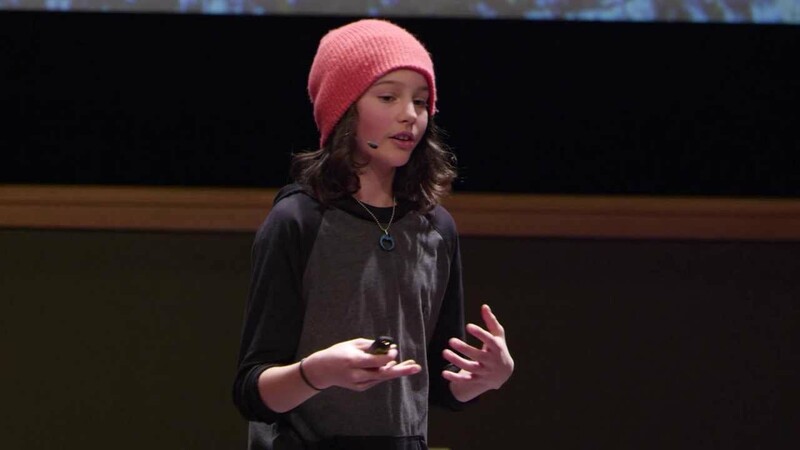 But considering the likelihood that adults helped him prepare his TED talk, Logan unwittingly demonstrated that the broader perspective he lacks is not so much a sign of immaturity as it is a confirmation that blissful ignorance spans generations. Logan LaPlante at the University of Nevada TEDx, 2013. Once you get past his “no worries, bra” appearance, he seems like an alright guy. A brief side note acknowledging the limitations of this formula for happiness among children mired in a cycle of poverty, for example, would have given Logan’s presentation the kind of depth and awareness audiences hope for in a TED talk. Instead, the naïve tone of ‘I did it; let’s all do it’ sounds eerily like another group of blissfully ignorant Americans (the GOP), who think that self-reliance is a switch you can turn on without realizing that some people have enough natural light (aka privilege) to find that switch in the first place. Exercise can come in many forms, and national obesity rates suggest that any creative solutions to becoming more active should be embraced more than the bags of Doritos that lay strewn about the bedrooms of many an overweight gamer. Diet and nutrition have also been a focal point from the White House, much to the chagrin of fat Americans who don’t like their eating habits called into question, much less from the most powerful black woman on the planet. But despite the defensive biases, the ability to eat healthier has proven an insurmountable financial burden among much of America’s poor. And although fast food restaurants have begun updating their menus with healthier options, the lack of access that Americans have to affordable fresh food is downright criminal, as is the need to work multiple jobs just to be able to afford the less healthy, more plentiful alternatives. Time in nature should be granted to every human being. Alas, it is doubtful that simply being outside is what Dr. Walsh had in mind with this imperative. For instance, children in urban environments have less access to verdant space as children in suburban and rural areas, thus making communion with nature seem more like a novelty than a necessity. 10- to 20-foot high chain-link fences enclose most city playgrounds, and although time in nature may bring out the animal spirit that we suppress, feeling like caged ones does not seem to be very healthy. Contribution and service would work well to condition children out of their innate sociopathic instincts by instilling the importance of compassion. However, there are young people born into such disenfranchisement, that it would be difficult to blame them for forgoing a sense of doing what’s right for fellow man when it seems like the entire world turned its back on them and everyone like them long ago. Still, a sense of duty in serving one’s own community would go a long way in repairing the socioeconomic rifts that have created such disparity throughout the country. Relationships, as a therapeutic lifestyle change, seems as obvious as it is vague. But since we are inherently a social species (despite the mental illness of youth mentioned earlier), no one would disagree that having people in your life for whom you care and with whom you interact regularly is a healthy part of life. Even the most hateful internet troll is being horrible because of some inability to know how to connect with people on a real level. Recreation…uhnuhdoy! How can you live a happy life if you don’t have fun? Still, children from poor and rich backgrounds alike can find ways to amuse themselves that are destructive. Good thing recreation is but one of several guidelines in this grand plan for happiness. Relaxation and stress management are actually something that poor people have probably mastered. While people from more well-to-do upbringings embraced yoga and meditation as the trappings of adulthood threatened emotional order, young poor kids with a will to live but no realistic model for how to do so well began mitigating their stress with drugs and alcohol. And although oppressive socioeconomic conditions do not absolve young people for making self-destructive choices, emphasizing the aforementioned TLC without context could prove problematic depending on the audience. But…more importantly…and I mean this with all due respect for the duality of life…WHAT THE HELL DO KIDS LIKE LOGAN LAPLANTE HAVE TO BE STRESSED ABOUT?! Religious/spiritual involvement has never been in short supply in poorer communities. And since it works hardest in helping people in hardship hang on to notions of hope that betray active protests of poverty, the value of this TLC from a holistic perspective deserves serious criticism. 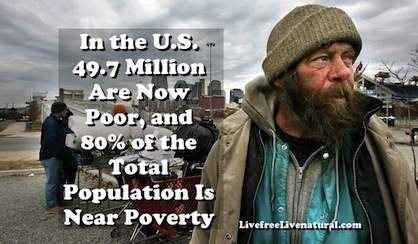 Yet, there STILL aren’t enough Starbucks to host them and their laptops. Step it up, coffee king! The hackschooling aspect of Logan’s rubric for happiness incorporates a more practical approach to learning skills that would be useful later in life, as opposed to sitting through lessons that elicit the age-old question of whether that would truly be the case. Logan has been able to turn his love of skiing into a way of life beyond recreation. And Logan’s intention in sharing his experience as an example of how to upend the paradigm of “making a living instead of making a life” is unarguably astute even for the most cynical of viewers (aka myself). Young people should absolutely be steered to education through their own interests as a gateway for engagement, and they should be allowed to explore their passions in supportive environments. But without the acknowledgement that this transition may be harder for some people, the adults in Logan’s life who supported him in giving this talk did him a disservice by not entreating him to further contextualize his ideas, regardless of whether he’s ever had personal experience with the people for whom these ideas would seem herculean. Moreover, there are many roles required in sustaining a civilization (dare I say Republic) that may not make people happy in and of themselves, but they still recognize the meaning it has for the greater good. For example, the amount of children who grow up with a bizarre obsession with waste management would definitely not be enough to fully staff a sanitation department, so people willing to do that makes them smell awful (not joy-inducing unless you’re an acerbic green Muppet) might actually be more fulfilled in the meaning that their career has in the lives of the many than a career in which someone gets to design and repair skis for the privileged. Of course, not all TED talks are perfect; they are communal celebrations of ideas for the sake of discussing new perspectives, and in that way, Logan LaPlante’s talk is no better or worse than the rest. But as he matures and hopefully experiences things off of his literal and metaphorical mountain, the hope is that he and others like him will prioritize the dialogue that his ideas demand. The idealism with which Logan suggests that hackschooling could become a part of systemic education reform needs to remain a part of how we negotiate the changes that the country needs in order to be the great nation it pretends to be but statistically is not. That Logan’s greatest hardship to date is something like a Macbook crash should not supersede how vital idealism is for the greater conversation, so long as we all agree that the conversation is not child’s play.